Have your cake and leave it! Just less than two years since we arrived in Mostar we have worked our last evening at Klub Novi Most. I don't think it's quite sunk in yet. The summer's been a busy time – perhaps evidence by the very sporadic blog posting! - so although we've known for a while that we'll be moving on to a new project with Novi Most in the autumn we've not had the down-time to let leaving really sink in. There were a few tears tonight as me, Rowan and Budo (all pictured on the leaving cake on the left!) were given a very fitting send off by the young people and our other team members in Klub. Two years have flown by or at least it feels like that tonight. I might have said different if you'd asked me in the middle of Mostar's long, rainy winter! We've seen a lot and been part of a lot. Hopefully we've help a bit along the way. Time will tell. A couple of years from now perhaps we'll be able to look back with greater perspective and see how our positive contributions in Mostar have grown, and see the successful establishing of our new project taking shape. Despite the fact we will miss people in Mostar we know it's time to move onto the next thing. There are fresh challenges ahead and new opportunities waiting to be explored. I once wrote: you get the story when you go. We're off to get the next bit. 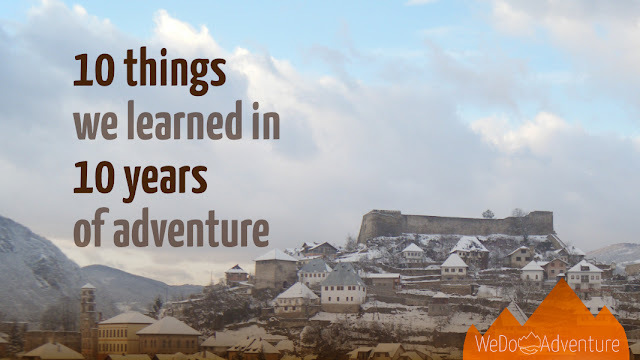 WeDoAdventure! Wonderful cake! With the shading in that picture, you look a bit like Elvis (Presley, not Costello). Where are you off to next? This comment really deserves a 'thank ya very much' in an Elvis style! We have a new place in Jajce, a town in the middle of the country.